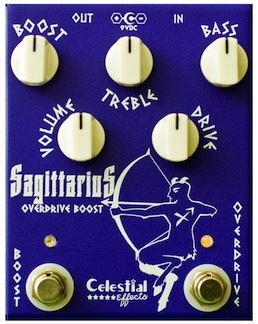 The Celestial Effects Sagittarius Overdrive Boost includes a pure overdrive with adjustable gain structure, and a boost section taken from the company’s Scorpio Super Boost. 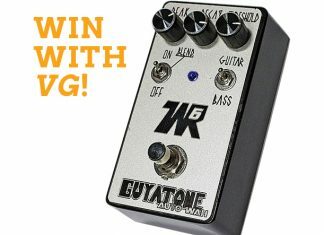 The user can set the order of the effects. Go to www.celestialeffects.com.